Walking barefoot on the beach sand isn’t only fun. It is also incredibly good for you! Nothing relaxes me more than a long walk on the beach. I see it as an all-in-one exercise because it’s food for your soul and your body. Doing regular walking is a treat for your senses that adds to your beach getaway. 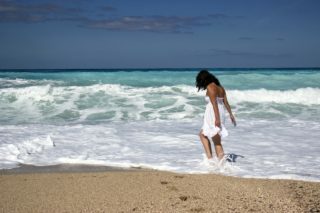 Walking barefoot on the beach is also a great way to burn some excess calories you might’ve indulged in earlier. 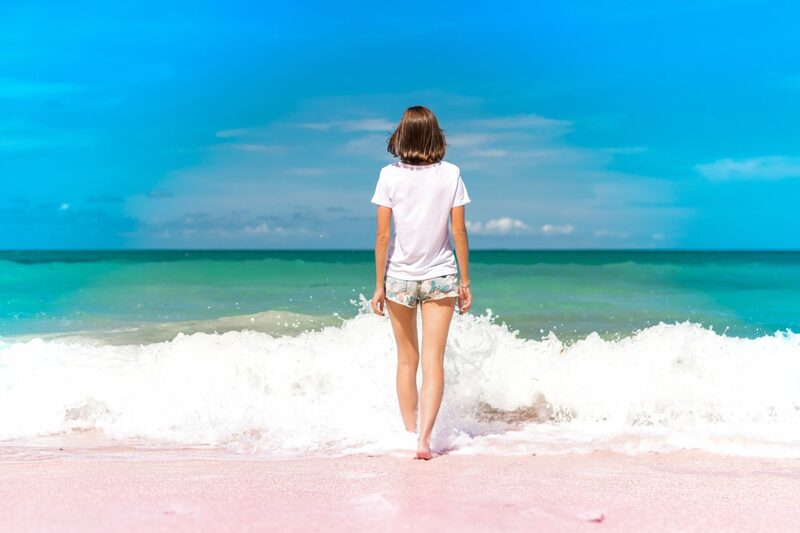 However, walking whether it’s on the sand or not improves blood circulation.This makes it an amazing exercise for people suffering with varicose veins. My favorite part is that walking is not just good for your health, but your beauty too! Here are a few of the benefits. 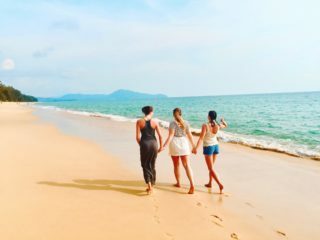 Taking a brisk walk on the beach in the morning or late afternoon is the perfect way to massage the soles of your feet, This action activates venous and lymphatic circulation. And if you stand on the beach shore, as the waves break. The sea water will massage your ankles, giving you a therapeutic experience. Just standing in the shallow waters and walking along the shore is highly beneficial to your health. But, if you’re not afraid of the water then try walking a little deeper into the water. Walking in deeper water and lifting your legs with each stride, is tiring. That is because it is a fantastic exercise which strengthens the muscles of the legs and buttocks. A cellulite blaster ladies! You read that right! There are some truly amazing beauty benefits to walking on te beach sand. The friction of the sand n your feet is a natural exfoliate. Walking barefoot results in softer feet in no time, just like a home peel treatment! Sea water is really good for you because it provides your body and skin with a natural mineral boost. The water contains minerals (iodine and sodium) that help prevent ageing and stress. If you’re right near the shore then you’ll obviously be walking on wet sand. This is actually easier and takes less effort. 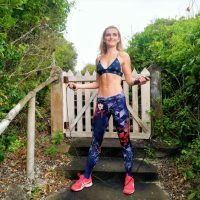 But as you get fitter and start to notice the benefits of the water, you may want to extend your walks farther up the beach where the sand is dryer. The dry sand is a lot less stable and the shape shifts as you walk, which requires more effort. You must keep in mind that although this is a great exercise. It also means there is a higher risk of injury, mainly to the ankle ligaments. Move your hands when walking to avoid them swelling. Do not walk on the beach midday to avoid burning in the sun or getting sunstroke. I think the best time is first thing in the morning or in the evening. And guys, please be sure to apply sunscreen before you get going! Always carry a bottle of water and wear a hat. Remember that you can still get sun burnt when it’s cloudy, and the sun bounces back up from the water. Don’t forget to reapply the sunscreen when your walk is over – particularly if you’ve been walking in the sea. So if you’re on vacation or live near a beach the most relaxing, enjoyable and beautifying exercise you can do is this. And it’s even better barefoot! It is cheap, effective and most importantly good for your soul. Let’s see our 5 basic tips for moisturizing eczema skin naturally that you can do to get that much-needed relief and regain your healthy skin.